There are a number of reasons why adults should consider genetic screening for fertility and reproductive health, especially when planning a pregnancy. The most common reason, however, is a family history of a health condition or genetically-based disease. The commercial market for fertility and carrier screening tests performed on prospective parents is evolving rapidly – providing comprehensive, personalized testing options. These test results provide individuals with critical genetic information allowing them to make informed decisions on their reproductive health. 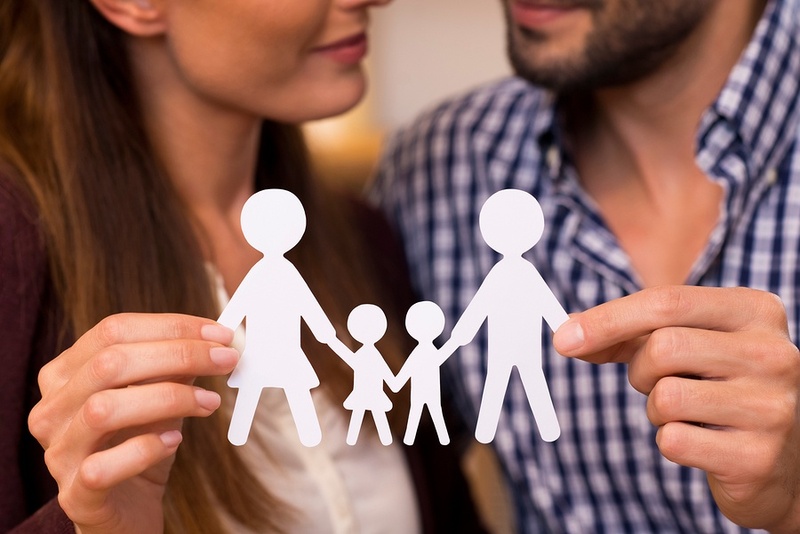 Furthermore, many individuals who discover they are carriers of a hereditary genetic disease may opt to inform fellow family members - who in turn may opt for genetic screening. What are the DNA sample collection ‘must haves’ companies need in order to be competitive in the reproductive genetic market? Since family members do not always reside in close proximity – the biological sample needs to be reliably stabilized and transported potentially long-distances. These DNA samples also need to be of high quality and quantity to be compatible on the newest high-throughput technology. Finally, these samples need to be easy to collect and non-invasive – as well as user-friendly. With all these sample collection requirements, companies are turning away from traditional sources of DNA, such as blood, because of the transport issues and invasive nature of collection. In these cases, saliva is emerging as the DNA source of choice. Fertility testing refers to analyzing ones DNA in search of genetic signatures that would predispose a female or male to infertility or reproductive challenges. These genetic screening diagnostics are often performed when there is difficulty conceiving or a family history suggestive of inherited causes of infertility. There are a high proportion of infertility cases attributable to genetic defects.2 Fertility testing has become very sophisticated - commonly employing next-generation sequencing (NGS) technologies to interrogate a comprehensive collection of single nucleotide polymorphisms. To ensure DNA quality and quantity is sufficient to successfully execute the NGS test, a robust and high-quality sample-type is needed, such as blood or saliva. DNA from saliva is not only comparable in quality and quality to blood in the majority of downstream applications, but is now regarded as a smart commercial choice. By using Oragene saliva collection devices, quality DNA samples can be easily and conveniently collected at home or in a clinical setting, and can be transported and stored at room temperature. To have the most pre-conception choices available and avoid potentially difficult decisions later, prospective parents can opt to have carrier screening performed early in the pregnancy planning process. In autosomal recessive inheritance of a genetic condition, an individual has one normal copy of a gene and one mutated copy, and does not have the associated condition – but they are a carrier. The odds of naturally passing the condition to a child when both parents are carriers is 1 in 4. Carrier screening is becoming more popular with couples or intending parents recognizing the importance of genetic screening to make informed reproductive choices. To collect an adequate amount of DNA to perform a carrier screening test either blood or saliva can be collected. Saliva has the advantage of being non-invasive and easy to collect, permitting the convenient possibility of at-home collection and transport in the mail in some circumstances.3 DNA Genotek has a saliva collection device, Oragene•Dx, and an oral sponge collection device, ORAcollect•Dx, both with FDA 510(k) clearance allowing either method to be used for applicable clinical and diagnostic purposes. If both parents are found to be genetic carriers of an autosomal recessive genetic disease, there are options available to increase the likelihood the resulting child receives both normal gene copies. Both PGD and PGS are types of genetic testing performed on a small number of single cells from embryos prior to implantation by in-vitro fertilization (IVF). Although many individuals undergoing IVF fertility treatment choose not to have either procedure performed, both PGD and PDS may help a reproductive endocrinologist select healthy embryos to implant in the uterus. Prenatal screening is performed during pregnancy. It detects pregnancies with a higher chance of an infant being born with a chromosome condition or a birth defect, but it can only estimate risk and not confirm whether the developing fetus does in fact have these conditions. A few prenatal testing methods include amniocentesis and chorionic villus sampling (CVS). Amniocentesis and CVS have a noteworthy risk of complications of 0.5-1% and 1-2% respectively, including miscarriage, so should only be performed when all concerned parties are aware of the adverse possibilities. In summary, whether an individual chooses genetic testing is a personal choice, and obtaining all the relevant information from a trusted source such as a medical professional, reproductive endocrinologist or genetic counsellor is advisable. Remote, home-based and clinical collection location options. If you are interested in more information regarding the Oragene•Dx or ORAcollect•Dx DNA collection devices, please visit our website (LINK) or contact us at info@dnagenotek.com. 1. Mathijssen IB et al. Targeted carrier screening for four recessive disorders: high detection rate within a founder population. Eur J Med Genet. 58(3):123-128 (2015). doi:10.1016/j.ejmg.2015.01.004. 2. Zorrilla M and Yatsenko AN. The Genetics of Infertility: Current Status of the Field. Curr Genet Med Rep. 1(4):1-21 (2013). doi: 10.1007/s40142-013-0027-1.